Have Your Fish Mounted, Ask us how. It is backed by a 250 hp Yamaha 4-stroke that gives a quieter, drier, smoother,faster, more comfortable ride. Our Staff has over ten years of fishing experience in waters around Destin Florida. Our Charter Boat is Coast Guard certified and Professionally Maintained. Destin Inshore Fishing on the Scallywag with Captain Nick Kirby. 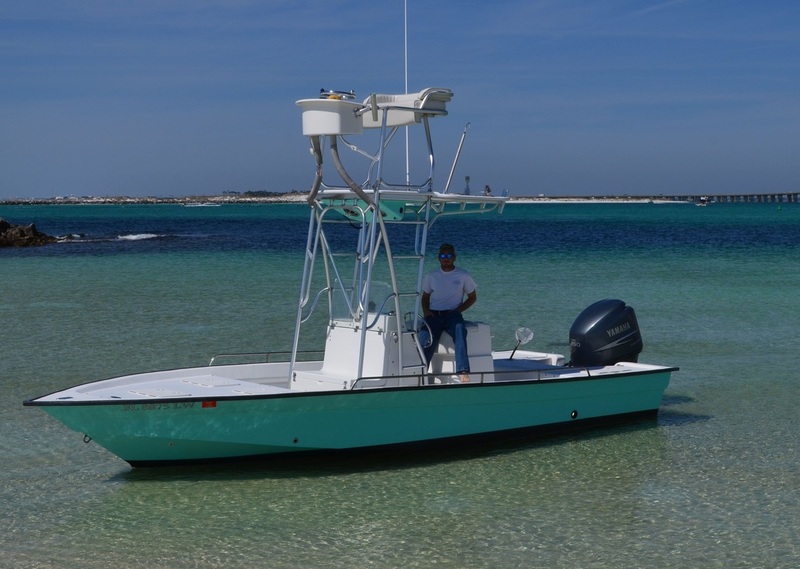 Whether you are visiting Destin for a serious inshore or Gulf fishing experience or are looking for a day of family excitement on the beautiful Emerald Coast, you need to look no further. Scallywag Charters offers a wide range of fishing charters that will suit your special needs. 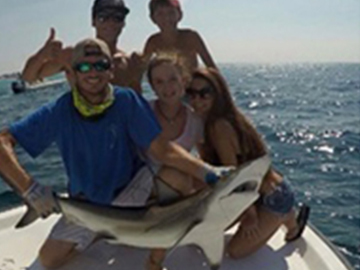 We feature in-shore Gulf fishing trips, shark fishing charters, near-shore Gulf charters, night fishing excursions, kid fishing charters, and daytime bow-fishing trips. We have a fishing charter created with you in mind! We offer 4, 6 and 8-hour fishing charters throughout the day. Shorter trips are available for young anglers or for first timers. Included with all fishing charters are Florida fishing licenses, fish cleaning services, bait, ice, tackle, and complete safety equipment compliant with the USCG. Be sure to bring a hat, sunglasses, sunscreen, a camera, and a small cooler with drinks/snacks appropriate to your chosen trip length. Redfish, Speckled Trout, Sheepshead, Pompano, Black Drum, Mangrove (Black) Snapper and Flounders. Most commonly targeted species for inshore fishing in Destin are Speckled Trout and Redfish. These fish can offer you the fishing thrill of your life using only light tackle. With an inshore fishing charter, there are various styles of fishing to experience, such as live-baiting grass flats, docks, bridges, and jetties. We also use top-water artificial lures for an even more thrilling catch. 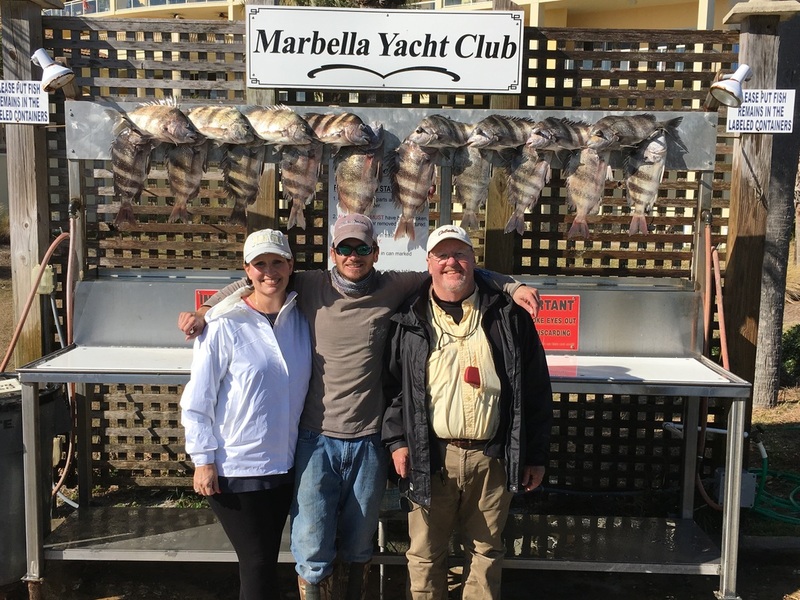 There are other species that can be targeted seasonally, including Sheepshead, Black Drum, Spanish Mackerel, Bluefish, Ladyfish, Mangrove (Black) Snapper, Flounder, and Jack Cravelles. King Mackerels, Red Snappers, Triggerfish, Amberjacks and Vermillion (Mingo) Snappers. The fishing possibilities are nearly endless when you experience near-shore Gulf Charters offering a huge range of fish to capture! Those include King Mackerels, Spanish Mackerels, Blackfin Tunas and Cobias that are exciting to catch. Red Snappers and Amberjacks will get you on your feet to see what you are made of, using light tackle. 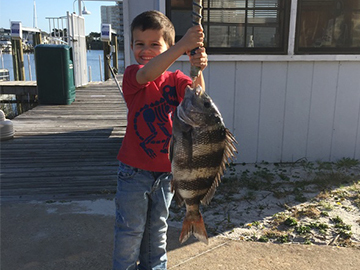 With Vermillion (Mingo) Snappers, White Snappers and Triggerfish, your entire family can have a special fishing experience just right for them. One great thing about fishing in the Gulf is the different species you can encounter, and most species taste delicious (whether you have a local chef to cook your catch or just cook it yourself). Near-shore Gulf Fishing Charters are popular year round; however, not all species are available year round due to seasonal fish closings. If you want to catch a particular species of fish, please call us at (850) 218-6827 or email Captnickkirby@gmail.com for annual closure dates. 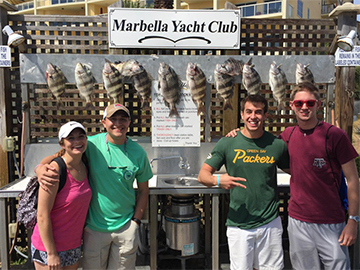 Book Your Destin Fishing Trip Today!